TAHLEQUAH, Okla. — With no school and limited responsibilities in the summer, kids often find a hard time finding something to do. Parents who want their children to spend their free time constructively might consider sending them to one of Northeastern State University's Summer Youth Academies or Summer Day Camps. Both the NSU Day Camps and Youth Academies will be held in June, and registration is now open. Parents won't want to wait long to sign up, though, because all the spots can fill up quickly. McLaughlin said the programs typically have between 300 and 400 participants. The Summer Youth Academies are each one week long, offering a variety of camps for different ages. The first week – June 3-7 – has an Up, Up and Away camp for 4- and 5-year-olds, a Minecraft camp for 6- to 8-year-olds, The Magic of Coding camp for 6- to 8-year-olds, and The Art of Photography camp for 9-year-olds and up. The second week of Summer Youth Academies – June 10-14 – features a camp for 6- to 8-year-olds called Imagination Station. Kids will get to play with Legos, building blocks, Lincoln Logs and more, but the camp involves more than just playing with toys. Several of the Summer Youth Academies involve space exploration. Academies include the Comets, Planets, & Space, Oh My, for 4- to 5-year-olds; Space: NASA, for 9-year-olds and up; Space, the Final Frontier, for 6- to 8-year-olds; and Exploration Space, for 6- to 8-year-olds. Instead of paying for a whole week of Summer Youth Academies, parents might want to send their kids to NSU for only a day or two. 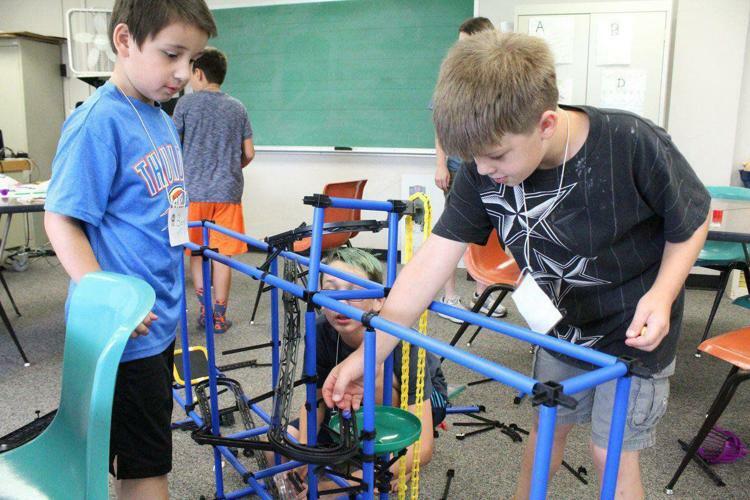 Last year, NSU held a pilot program for its Summer Day Camps program at the Tahlequah campus only. It was so popular that it has expanded to the Broken Arrow campus. Each day of the week throughout June is dedicated to a different camp. Monday is for Jewelry Creation, where kids can make their own treasures; Tuesday for Live in Your Own Virtual Reality, offering students a chance to use a green screen and make their own movies; Wednesday for Roller Coasters and Amusement Parks, giving campers a chance to build their own amusement park; Thursday for The Art Studio, a student can learn about textures and create projects; and Fridays, for The Science of Science, where kids will conduct experiments. Both the Summer Youth Academies and Day Camps give kids a chance to explore new subjects and find new hobbies. For more information about the NSU Summer Youth Academies or Day Camps, contact Continuing Education at 918-444-4610, or visit www.nsuok.edu.